Suffering From Wrap Rage? Try The OpenX Dual Blade Universal Package Opener, It Easily Opens Clamshell Packages. Let me introduce to you the amazingly splendiforous OpenX Dual Blade Universal Package Opener. 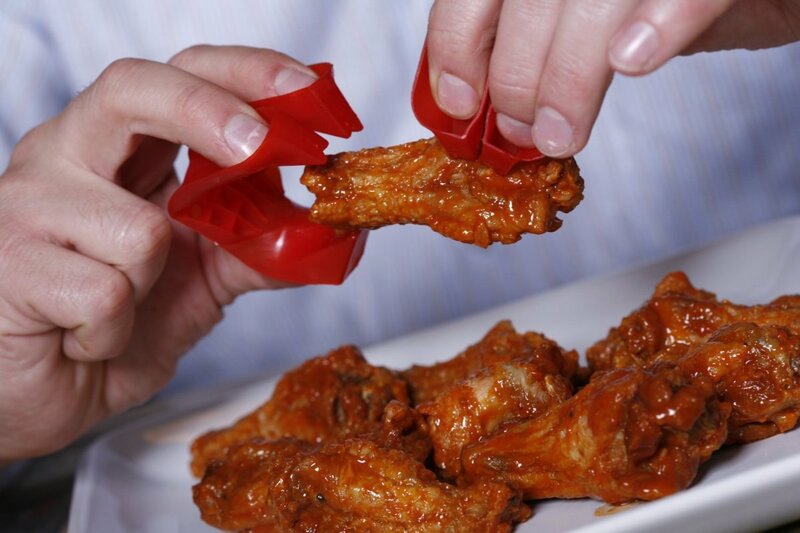 It is a handy dandy little gadget that will help you break into those impossibly difficult clamshell packages. It will save you from the dreaded Wrap Rage. For less than $10 or, if you order yours from Amazon, for just $5.02 you can be spared the torture of breaking into plastic packaging. Anyway, on this page, you'll find a bit more about this wonderful tool, more reviews, a few pictures, a simple video and the link to Amazon so that you can order your OpenX Dual Blade Universal Package Opener today. I really don't think you will be able to beat Amazon's low, low price anywhere else. How Does The OpenX Work? The OpenX Dual Blade Universal Package Opener opens many types of packaging including plastic tape, plastic wrap, clamshells and cardboard cartons. It is a simple tool with a retractable blade for piercing through the plastic and a sliding blade which you use to slit open the package and which keeps your hands safe while you do so. I really do like my OpenX. The reviews on Amazon are a bit mixed and I strongly encourage you to read them all. Despite what one reviewer said, I find my OpenX far easier to use than scissors or a knife. I am unqualified to speak to how easy or hard this item is to use for a left-handed individual but one reviewer does say that he found it difficult so that might be a consideration for you if you are left-handed. As one Amazon customer said, "It works exactly as advertised - and for a very reasonable price - what is there to complain about? You can't buy a knife and a pair of scissors for a whole lot less." I agree plus, I don't know about you, but my success opening those clam shell cases with my scissors was not great (nor was it pretty) and the thought of taking a knife to one is just plain scary. So be prepared, this tool is not a miracle worker. You are still going to have to work patiently and calmly with it and the clamshell packaging. However, I do think it is easier and safer than the alternative methods. The hardest part at our household is keeping it where it can be found when we need it! 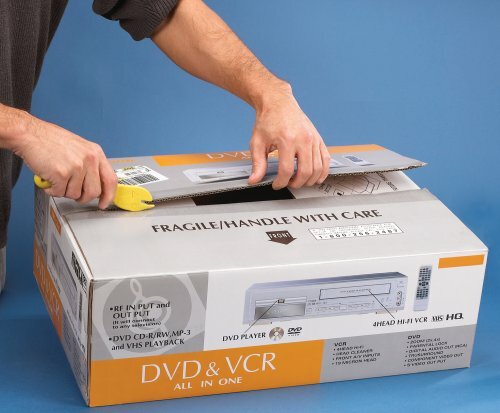 In the past decade, packaging has definitely gotten harder and harder to open. Wrap Rage has become a huge issue in the last decade. Have you experienced Wrap Rage? You are kidding, right? Who HASN'T experienced wrap rage? Yes, I've had wrap rage but I try to stay calm, cool and collected when I'm opening packages. I have an OpenX Dual Blade Universal Package Opener so I don't have to worry about wrap rage. No, a little plastic wrap is never going to get the better of me! No, fortunately I've never had to break into one of those nasty plastic clamshell packages. My Opinion? Death to the clamshell! 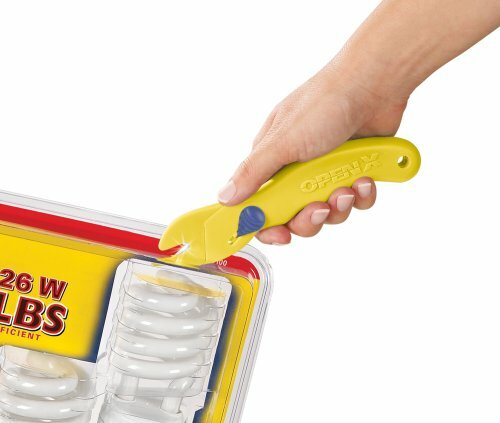 Had you heard of the OpenX plastic package opener before? No, I never knew there was such a gadget available! I've heard of that there was such a tool available for opening packages but I've never specifically heard of this one. Um hmm, I've seen this tool around. Yes, I have heard of the OpenX Dual Blade Universal Package Opener, I own it and I love it! "MUCH better than scissors, knives or perhaps, in desperation, hammers." Open X Video Demonstration - This video does a beautiful job of showing how the OpenX Clamshell Package Opener Works. Short, sweet and to the point, this video does a great job of showing how the OpenX works. (The sound is a bit slow to get started.) It really is as simple as it looks in the video although I would say that it is a two-handed operation done better securely on a flat surface. The United Kingdom reports 67,000 injuries attributable to struggling with plastic in a one-year period. I always highly recommend the Amazon customer reviews. In the case of the OpenX, you will find that it is not a perfect tool but that it is definitely a helpful one. Amazon customer A. Lubarsky called it a great stocking stuffer and he was right. If you do present this tool in this manner, make sure you label it 'Open Me First.' For such a handy gadget, it really is reasonably priced. Customer Dievendorf said quite rightly that this tool can be used for opening many items but what it does best is deal with "those horrible plastic blister packs.You just make a small slit in the plastic packaging with the pop out razor blade, then stick the plastic point into the slit and run the OpenX around the edge of the packaging. 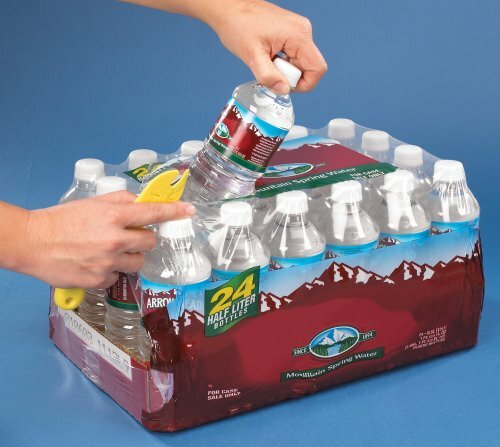 There is no need to worry about cutting your fingers while trying to open plastic packaging. I will always have one of these around. Nothing better to have during Christmas and birthday present time." You can find all of the Amazon customer reviews by clicking right here. Buy Your OpenX Dual Blade Universal Package Opener - From Amazon. I recommend buying a bunch and giving them to your extended family at Christmas time. Using a French Press is an easy way to make your coffee. Find out how here. Do you know what a pie bird is? Do you use one? Learn more and see a few beautiful examples on this page. Timers make great tools for those who are distracted...like those of us who are perpetually multi-tasking. 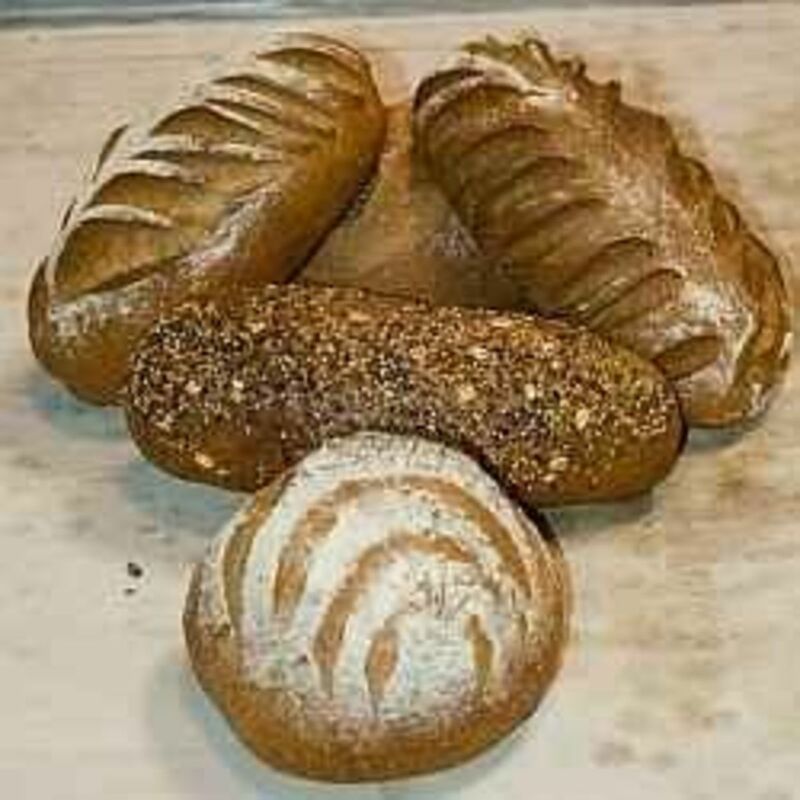 Find some great options on this page. If you frequently misplace your keys, you might like to investigate purchasing a wireless remote control key finder. That is, a key finder gadget. We love our Presto Saladshooter, which we use a lot for grating cheese and sometimes for slicing vegetables. Cons of the Open X - My only complaint about the OpenX is shown in this picture which a Flickr photographer called, "Irony." Do you think you could put the OpenX Dual Blade Universal Package Opener to good use in your home? Finally, a kindred spirit! Thank you for the chuckle and the lead on a tool to cure the problem! I like that last photo. It made me laugh. I do think this would be a handy tool. 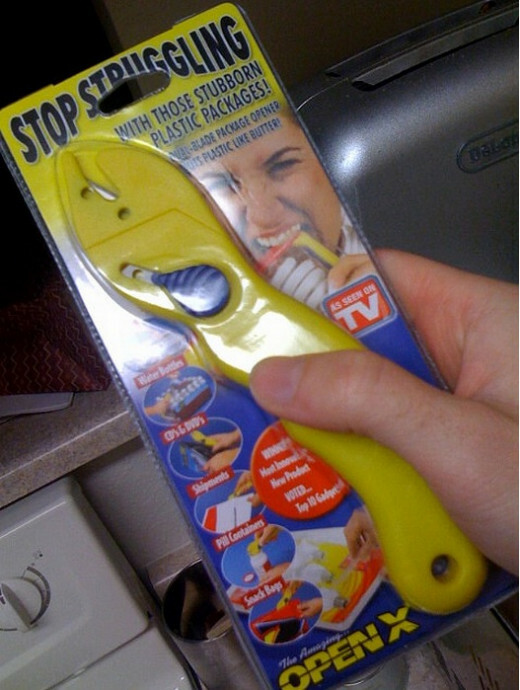 What's up with the tool being packaged in that awful packaging it's designed to conquer!? LOL, love the photo of the clamshell opener in a clamshell package! A great Christmas stocking stuffer. Brenda, you have the most fun polls on Squidoo! This package opener sounds like something I should consider too. I'm forever having to ask my husband to open things! Thanks for your blessing. This looks like an excellent gift idea for anyone! Thanks for the introduction! Handy dandy tool - one well worth having in any household! Yes! Death to the clamshell. This opener does look enticing. Now this a handy dandy tool! Nothing is worse than giving a gift to someone and they have to spend so much time trying to figure out how to open it! Thanks for sharing this tool! What a great gift for seniors ... and others. Sounds like this little tool is a Christmas morning necessity! 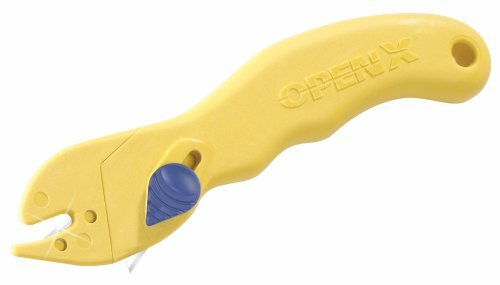 I do believe the OpenX Dual Blade Package Opener would be a very good stocking stuffer for hubby, grown daughters and sons! Definitely a handy, dandy little gadget for sure! Nicely explained! I would put this tool to VERY good use in my home! My military-trained heroes-who-love-a-challenge aren't always around and I have had to open some very stubborn clamshells by myself. After watching the video above, I can see that an OpenX Dual Blade Universal Package Opener will be on my next Amazon order for sure! Thank you, Brenda! Fabulous lens, Brenda. Anything that reduces stress during the holidays is a winner! Oh yes! I never heard of this tool until now. I always give those hard-to-open packages to my boys or my husband and let them get wrap rage. I can see how the OpenX Dual Blade Universal Package Opener would remedy all that. I was ROFL reading this and the irony below just set me off again. Who would think a sales page would make you laugh? Well done! Very cool, this would for sure be a very useful gift to give or receive. Thanks for sharing! Nice work! Oh yes! and I agree this is a super little gift for neighbors and friends, too!